Kingsman: The Golden Circle is a 2017 actionspy comedy film produced and directed by Matthew Vaughn and written by Vaughn and Jane Goldman. It is a sequel to Kingsman: The Secret Service (2014) which is based on the comic book series Kingsman, created by Dave Gibbons and Mark Millar. The film features Colin Firth, Taron Egerton, Mark Strong, Edward Holcroft, Hanna Alström and Sophie Cookson reprising their roles from the first film with Julianne Moore, Halle Berry, Pedro Pascal, Elton John, Channing Tatum and Jeff Bridges joining the cast. My take on Kingsman :The golden circle. In the trailer it shows how exciting the movie is making me watch the movie immediately and when the movie is released it it somehow didn’t meet the hype it get in the trailer however It is An excellent sequel to a legendary film. 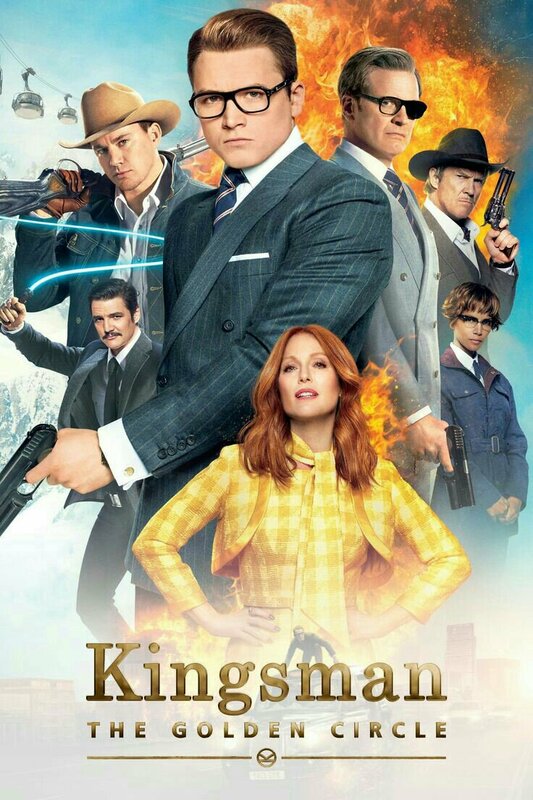 Amazing performances by all the cast, especially Mark Strong, Channing Tatum And Pedro Pascal in which they show an excellent work in their characters.It showed the Kingsmen and chumps, especially Harry Hart, as Tequila was quite easily able to take down Eggsy and Merlin and Whiskey almost got the best of Eggsy and Harry in the Climax. Many people hope Merlin will be ‘revived’ in Kingsman 3 And I’m one of those people,hoping that he is still alive after that explosion,or he somehow make a solution to escape the bomb. In the next film I would like to see Kingsman 3 to bring in Channing Tatum, who played an excellent Tequila, as a main character. Of course, Elton John’s Cameo was a great part of the movie, and the strong language definitely added to the realism for me. In the end, it was a great movie, but it could have been better.